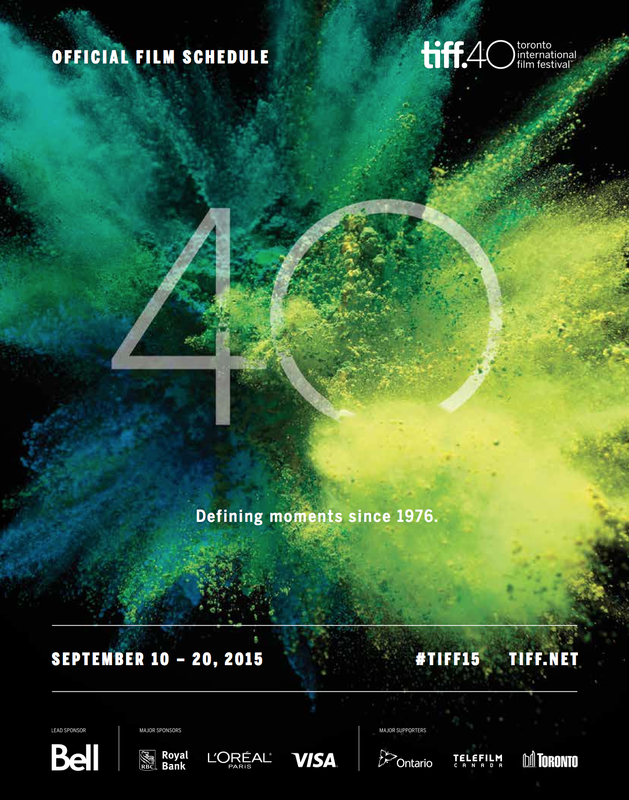 The 40th edition of the Toronto International Film Festival is happening right now, and will be going strong in the city until September 20th. My previous batch of reviews from yesterday are right here, and below are my thoughts on five more films that I had the chance to see over the last few days, all of which are worth seeing for their own very different reasons. As always, please come back tomorrow and throughout the rest of the festival for my thoughts on many more films. Demolition: After losing his wife (Heather Lind) in a car accident, financial suit Davis Mitchell (Jake Gyllenhaal) is left struggling in his grief, working for his tough father-in-law (Chris Cooper) in New York, who blames him for the death of his daughter. But through complaint letters to a vending company over a broken machine at the hospital, and an unconventional relationship of sorts with Karen (Naomi Watts) and her teenaged son (Judah Lewis), Davis finds a radical way of working through his emotional pain, by ripping things apart. Anchored by another brilliant performance from Jake Gyllenhaal, who brings believable depth to even the most anti-social aspects of his character, Demolition is a gripping character study of a man who quite literally has to tear every little thing in his life apart so that he can start to piece it all back together again. Judah Lewis provides a perfect foil for him, displaying an impressive amount of swagger and confidence, in a promising debut performance. Working from a sharply observed blacklist screenplay by Bryan Sipe, director Jean-Marc Vallée has crafted an entirely unique film that pulls off the impressive balancing act of being darkly funny yet still emotionally resonant, often at the same time. The filmmaker brings compelling stylistic touches to the sometimes downright strange material, through his always impressive editing choices and great ear for music. Although Demolition is sure to be a polarizing film, and it’s clearly not for everyone, this almost unabashedly non-conformist punk rock attitude is part of what makes it so great. This is an offbeat but completely engaging story of overcoming grief through wanton acts of destruction, that brings its metaphors full circle in the very moving final scenes. Son of Saul: Saul (Géza Röhrig) is a prisoner at Auschwitz, who has been spared his life for a few more months, in exchange for being forced to betray his people by helping move them into the gas chambers and clean up their remains afterwards. But when he finds the body of a young boy, whom he believes to be his son, Saul becomes determined to find a rabbi and protect the boy’s remains long enough to give him a traditional Jewish burial. Through brilliant cinematography and sound, first time director Laszlo Nemes depicts the unspeakable cruelty of the concentration camps in almost uncompromisingly bleak detail in Son of Saul, which is often exhausting to watch for the way it forces us to look upon acts of pure evil, but also vital viewing for these exact same reasons. And from a purely technical standpoint, this is surely one of the most accomplished and stunning filmmaking debuts in quite some time. Much of the film unfolds through unbroken long takes, framed over the shoulder of the title character, as if we are literally following him through the concentration camp, allowing us to see everything from his point of view. The largely handheld 35mm camerawork adds a sense of chaos and claustrophobia to the proceedings, with the closed in square aspect ratio and very shallow depth of focus, thrusting us right into the harrowing story. Appearing in pretty much every scene, and seeming almost numb to the terrors that surround him, Géza Röhrig anchors these images with a mesmerizing performance. The sound design is equally all encompassing, from the inescapable screams of death that surround us in the background, to the equally haunting silences that follow. This is an emotionally draining film that shockingly recreates the horrors of the Holocaust, built around a heartbreaking story of one man’s quest to complete an act of human decency, amidst one of the most atrocious events in history. A Tale of Love and Darkness: An accomplished feature directorial debut for Natalie Portman, A Tale of Love and Darkness is a beautifully crafted adaptation of highly acclaimed Israeli author Amos Oz’s autobiography of the same name, and providing a way for the Oscar-winning actress to explore her own Jewish heritage. The film follows Amos (Amir Tessler) as a young boy growing up in British Palestine in the 1940s, with a father (Gilad Kahana) who instilled in him a love of words, and a mother (Natalie Portman) with whom he shared a deep connection, even as political uncertainty and shattered dreams took their toll on her through deep rooted depression. The multilayered narrative depicts the history of the time and place in authentic detail, showing the increasing tension that preceded the creation of the state of Israel, through solid acting from newcomers Amir Tessler and Gilad Kahana, and moving supporting work from Natalie Portman herself. But this is also an incredibly touching story about the undying love between a mother and son and the stories they share between them, and it’s in these moments that Natalie Portman, herself the mother of a young boy, reveals another side of her deeply personal connection to the material, especially in the highly emotional final few scenes. Featuring gorgeous cinematography by Slawomir Idziak, A Tale of Love and Darkness is a moving and beautifully written period piece about dreams dashed amidst cultural turmoil, that is at once lyrical and heartbreaking. The Martian: Adapting Andy Weir’s bestselling novel for the screen, director Ridley Scott delivers his best film in years with The Martian, a remarkable return to form for the filmmaker who got his start in the science fiction genre. Left stranded and presumed dead on Mars, after Commander Lewis (Jessica Chastain) and the rest of his crew are forced to leave without him in the wake of an unexpected storm, Mark Watney (Matt Damon) must figure out a way to survive on the red planet. Putting his degree in botany to good use and growing his own potatoes to go alongside the limited rations, the stranded astronaut struggles to make contact with his team back on earth, as NASA works through all of the corporate red tape and complex manoeuvring needed to send a rescue mission. Left on his own for pretty much all of his scenes, Matt Damon commands the screen in one his absolute best performances, tough and resourceful in his fear of not being found, but with all of his usual charm still intact. The supporting cast of familiar faces is uniformly excellent, and even the bit players get plenty of memorable moments, with a refreshing amount of both gender and racial equality between them. Drew Goddard’s screenplay is filled with sharp dialogue, as the story finds ingeniously clever solutions to its characters increasing obstacles, priding itself on intelligence every step of the way, and making science and math look oh so cool. Ridley Scott directs with a genuine eye for visual effects, seeming utterly confident behind the camera and conjuring up some spectacular images, all set to a great soundtrack that offers its own Awesome Mix of pumping 1970s hits. Thrilling, visually stunning and above all extremely entertaining, The Martian is an incredible achievement by all involved, offering a shining and bighearted example of the best that blockbuster filmmaking has to offer. My Skinny Sister: Stella (Rebecka Josephson) is left struggling with how to reveal the truth when she discovers that her older sister Katja (Amy Deasismont), a fiercely competitive figure skating whom she admires, has an increasingly severe eating disorder, that she is hiding from their parents. Director Sanna Lenken has crafted an emotionally intense film in My Skinny Sister, that is admirably and sometimes uncomfortably authentic in its depiction of anorexia and the complicated bond between sisters. Anchored by an impressive and thoroughly believable performance from newcomer Rebecka Josephson, this Swedish family drama is a message film in one of the the finest senses of the term, and especially worth seeing for young audiences who have encountered similar themes in real life.